Professional photographer and artist Daniel Cilia gave his support to our campaign by sending us the aerial images which we are publishing below. Mr Cilia has been a member of Wirt iż-Żejtun for the past years and was always of assistance through his profession to our organisation. 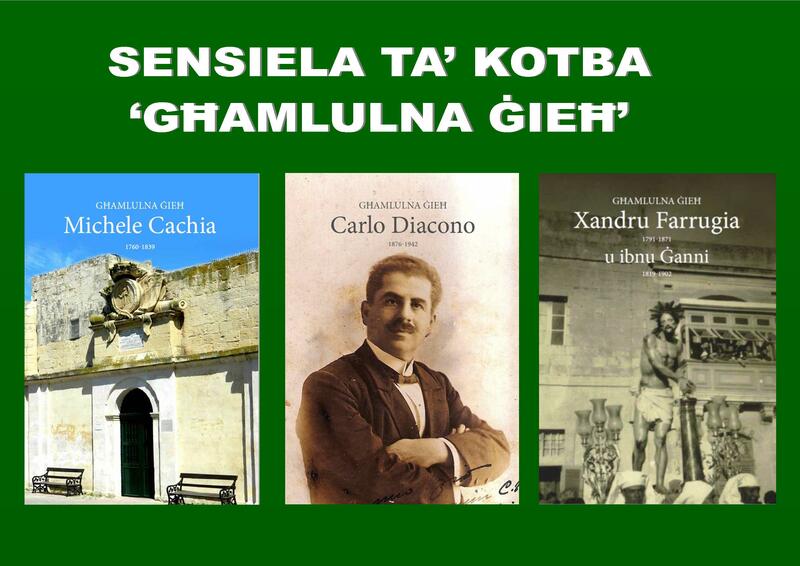 The imagery produced below is based on what was stated by Mr Karl Azzopardi, CEO of Malta Industrial Parks in an interview on TVM news on the 27th January 2018, titled: Bulebel industrial area extension leads to commotion among farmers. He said that with the project, the Bulebel industrial estate will increase by around 120,000 square metres, which will be used for new industries however trees in the fields will be retained, particularly carob trees which are protected. If you want to save this green open space, kindly print and sign this petition and get others to sign it. Send it by post to Wirt iż-Żejtun, PO Box 25, Żejtun. The area shown in colour is the land which was marked on Plan ZN3 of the South Malta Local Plan (2006) as “Area for further study – (Policy SMZN02)”. This area measures approximately 120,000sqr metres. Farmers within this area were served with an eviction order. 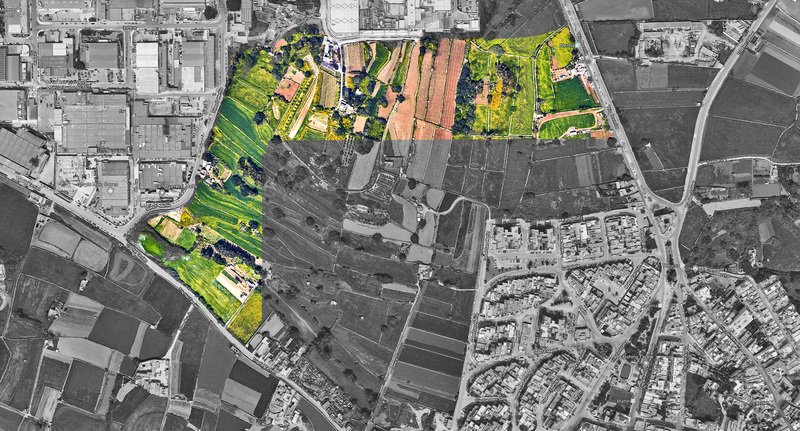 Top: The agricultural land as is today showing the existing industrial area in the centre and Gebel San Martin residential area on the lower left corner. 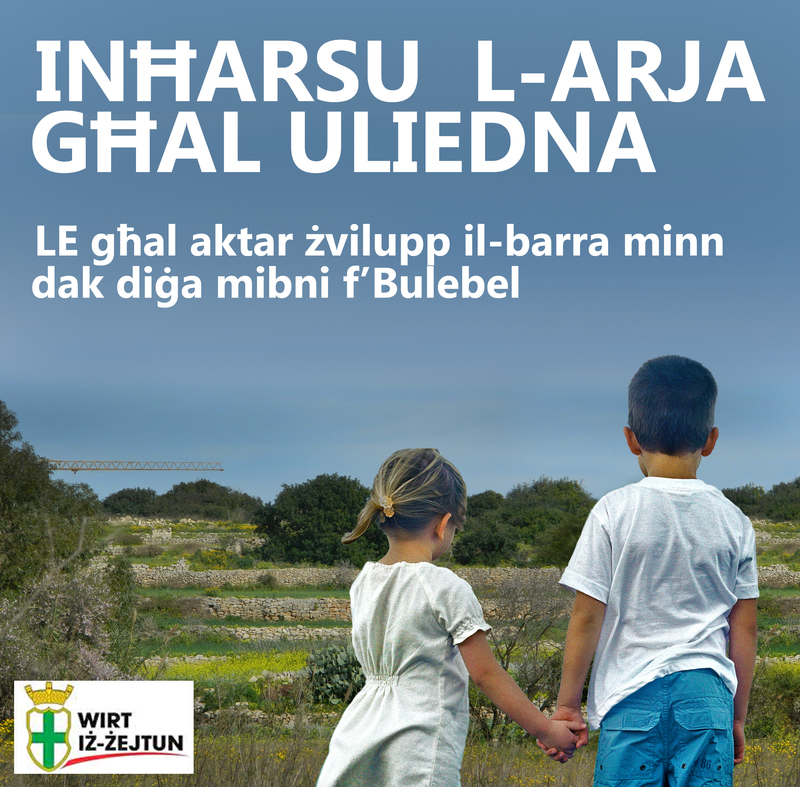 Bottom: Artistic impression of how the area identified in the South Malta Local Plan as a possible extension to the Buleben Industrial Area could look like after being built for industrial use. A cluster from the existing carob trees has been left unbuilt. (Important note – this is an artistic impression produced for Wirt iż-Żejtun since Malta Industrial Parks plans have not been made public yet). On the 28th January 2018, Wirt iż-Żejtun held its Annual General Meeting and the following motion regarding the proposal for the extension of the Industrial Zone of Buleben was passed unanimously. been mentioned and discussed during the Annual General Meeting of 2015.
for industrial use, and this without taking up agricultural and/or rural land. archaeological finds these past years within this same area. 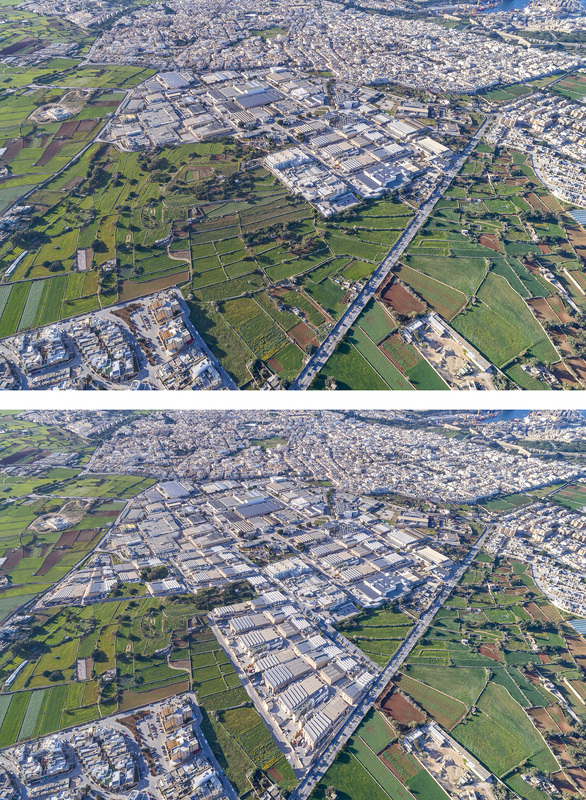 belt, Zejtun will lose the characteristics of a village. the possibility of any future extension beyond that existing as of today. delivered to the competent authorities as soon as possible. 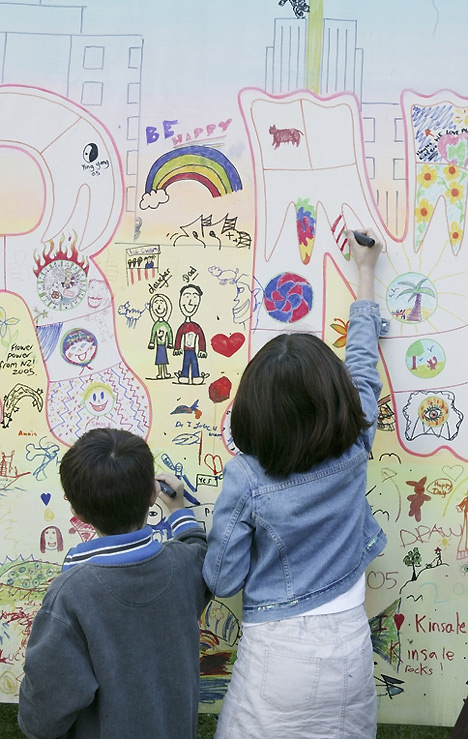 information, please visit the Wirt iż-Żejtun page on Facebook.